The 2009 Philadelphia Tattoo convention was the first time I ever entered any of the pieces that I have tattooed into the contests. I went there saying to myself that even if I didn't win I would be happy just to be involved. 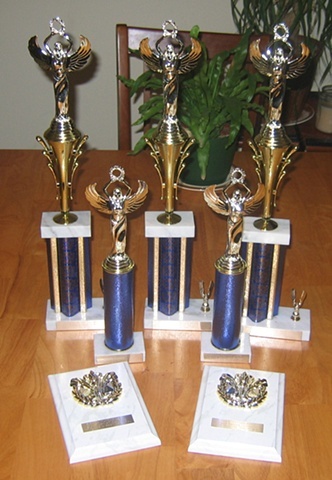 I took home 5 awards at that convention out of 4 tattoo entries. Needless to say I felt great. I am grateful to be lucky enough to receive these awards and humbled to have beaten some of the competition that I saw there.